Get your tracks professionally Mixed and Mastered! The hourly rate is € 39, - including VAT. For standard mixing and mastering assignments, see rates in the shop. MMM is based in The Netherlands, Europe. For that, the rates are displayed in Euro's (€). Payments can be done via bank transfer of Paypal. You can use this link to find a currency converter to see how much the price will be in your currency. * Prices include VAT and subject. No rights can be derived from the rates shown on this website and/or the shown currency-converters. 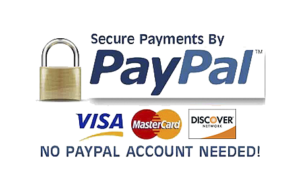 International payments can be done by bank transfer or PayPal. Send your exported / bounced audiofiles with the button below and Mixing Studio Online will mix and master it for you. Within a few days you'll receive the mixed and mastered version. Please also attach a reference file, your name and specific wishes.